Bromethalin is a highly potent pale, odorless, crystalline solid rodenticide that was specifically designed in 1985 to address the issue of rodent resistance to anticoagulant rodenticides. Anticoagulants are blood thinning toxins that work over time. Bromethalin, on the other hand, is a highly potent neurotoxin that delivers a fatal dose with just one feeding. It kills rodents with a single feeding and is found in products such as Fastrac Blox and Place Packs and Talpirid Mole Bait. It is the first and only mole bait designed, developed and scientifically proven to kill moles. A professional all-weather neurotoxin rodent bait blox for mice and rat bait stations for commercial, industrial and limited residential areas. A professional single feeding rodenticide in place paks for mice and rats in commercial and residential areas and indoors and outdoors. A pre-baited disposable mouse bait station with a 1 oz. blox and is weather and tamper resistant. A rodenticide that is quick and effective in controlling rats and mice, especially Norway rats, Roof rats and House mice. Just One Bite EX Bait Stations typically kill mice after just a single feeding. 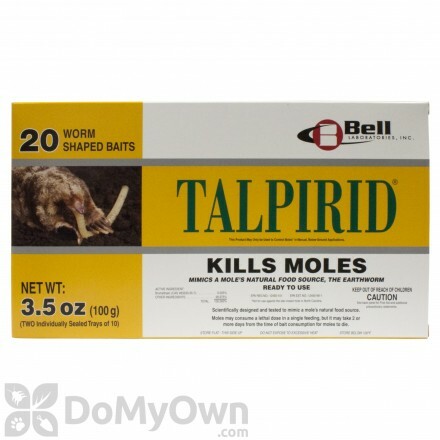 Moleworm baits to effectively and quickly kill pesky moles. 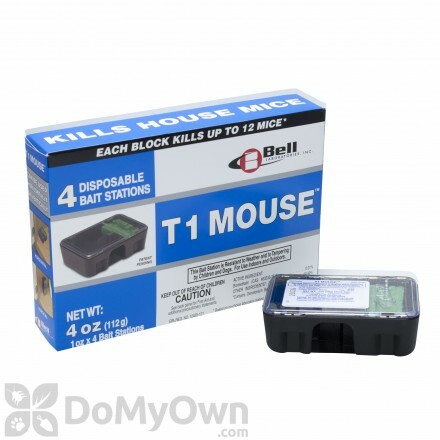 A certified tier 1 bait station that effectively kills damaging house mice. A specially formulated rodenticide in a soft bait form which is effective against Norway rats, roof rats, and house mice. A professional single feeding rodenticide for mice and rats in commercial and residential areas and indoors and outdoors. A rodenticide is a bait that kills rodents fast and efficiently, making it a great bait for controlling the rodent population. Gladiator Place Packs contain bromethalin, the same active ingredient found in Fastrac Place Packs. 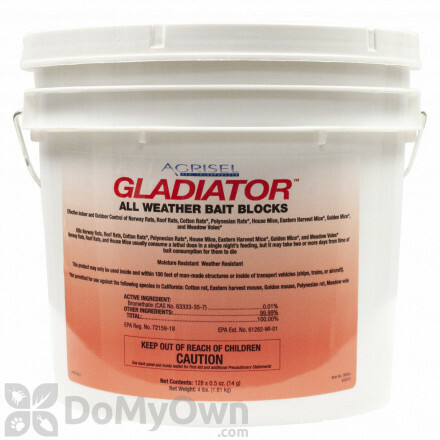 An all-weather bait blocks that effectively kills rats and mice in as little as 2 days after consuming a lethal dose. Bromethalin works by attacking and inhibiting the central nervous system, leading to paralysis and death. How quickly does Bromethalin kill? Death by bromethalin poisoning most often occurs within 24 to 36 hours after digestion. What kind of rodents does Bromethalin target? Bromethalin is used as an active ingredient in products that target rats, mice, and moles. How does Bromethalin work to control rodents? Bromethalin is a neurotoxin which attacks the central nervous system, blocking nerve activity and affecting muscle contraction. Death occurs within 24 to 35 hours after ingestion. Bromethalin is extremely toxic and should always be handled with care, and kept out of areas where it may be accessible to pets or children. Always read the product label before using any product containing Bromethalin. 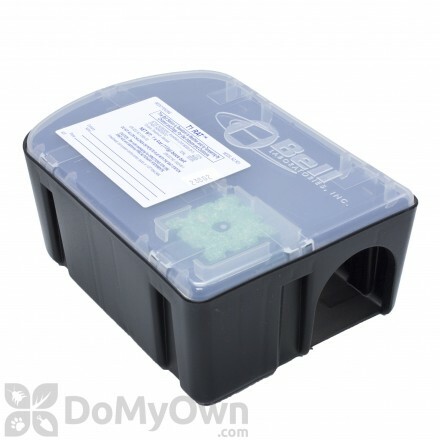 When using bait formulations, always use a tamper-resistant bait box. Bromethalin is extremely lethal to mice, rats, and other rodents. It is recommended that bromethalin products always be used with a tamper-proof bait station as secondary poisoning can occur in dogs and cats that eat a rodent killed by bromethalin (although this is uncommon). Symptoms of secondary bromethalin poisoning in animals include loss of ability to bark, loss of appetite, and lethargy. There is not an antidote at this time but symptoms can be treated with corticosteroids. Always read the product label carefully. 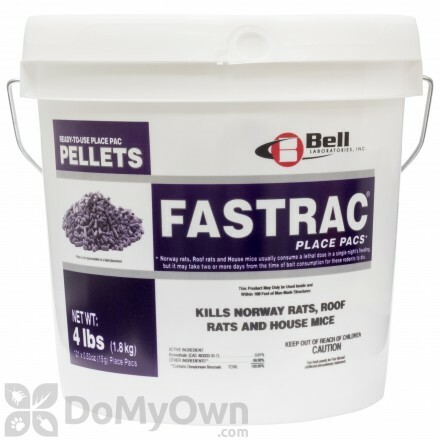 Fastrac Place Paks - A fresh tasting, highly compressed pellet that mice and rats love. 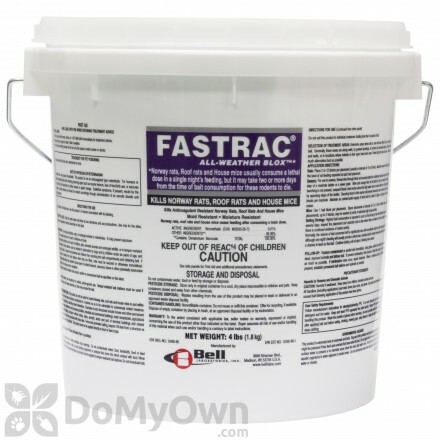 Fastrac Blox -A quick and effective solution to controlling populations of rats and mice, especially Norway rats, Roof rats and House mice.